Today I would be on my own to tour the countryside of the Marche, which is the region of Italy in which Jesi is situated. 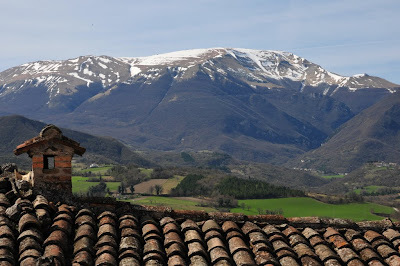 I was surprised to learn that a rather substantial mountain range, i Sibillini (the Sibillini), was within reach and naturally headed that direction. The first stop on my circumnavigation of the Sibillini was the small town of Sarnano. It was a wonderful little town with a great historic district and spectacular views of my playground for the day. 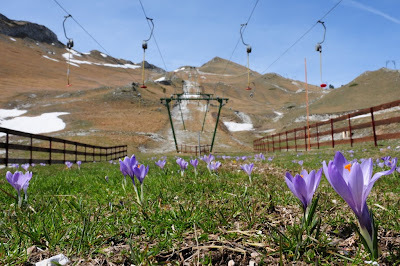 There are a handful of ski resorts in the Sibillini, but none had quite enough snow to be in operation. 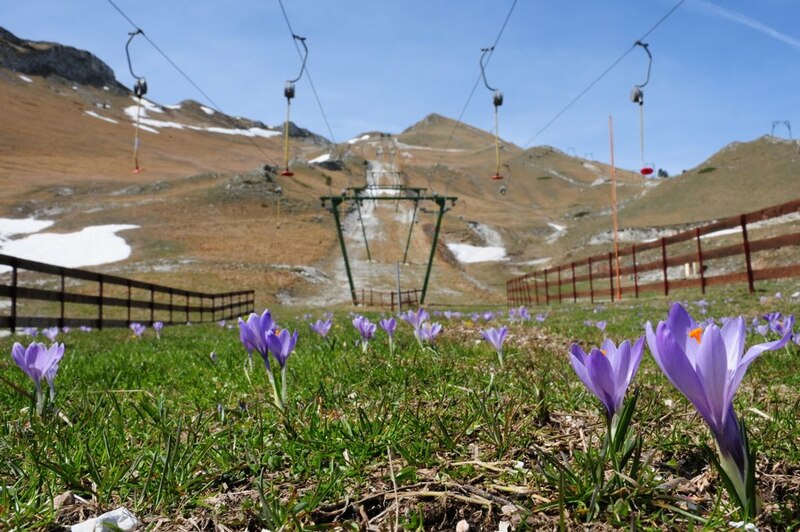 With the lifts closed and the skiers gone, spring flowers quickly moved in and made there presence known. Sassotetto has some good open slopes, a quadruple pommel lift (which I've never seen in the states), but it was the fresh bloom that made it memorable. 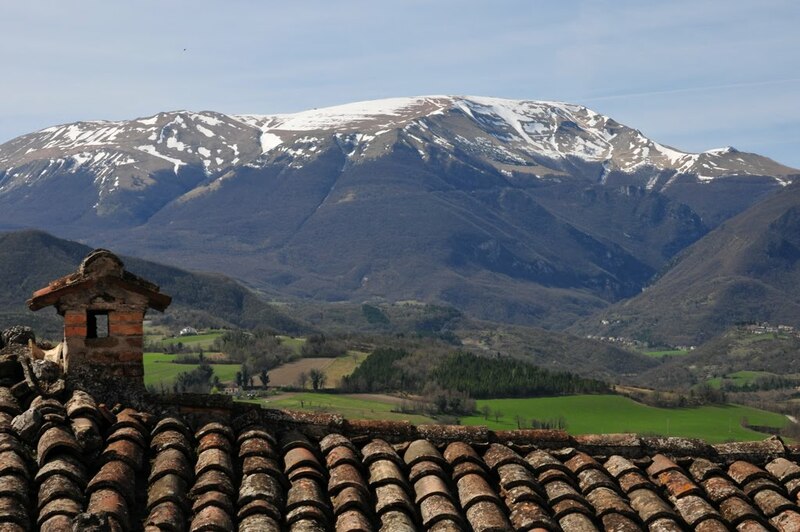 In the heart of the Sibillini are a pair of vast plains that sit on either side of Castellucio. Pian Grande (Grand Plain) is known for spectacular fields of colorful lentils in the summer. I caught the plains as they were being planted, or prepared for planting, but still found the rectangular patterns rather impressive - it's worth clicking on this to see the enlarged photo. 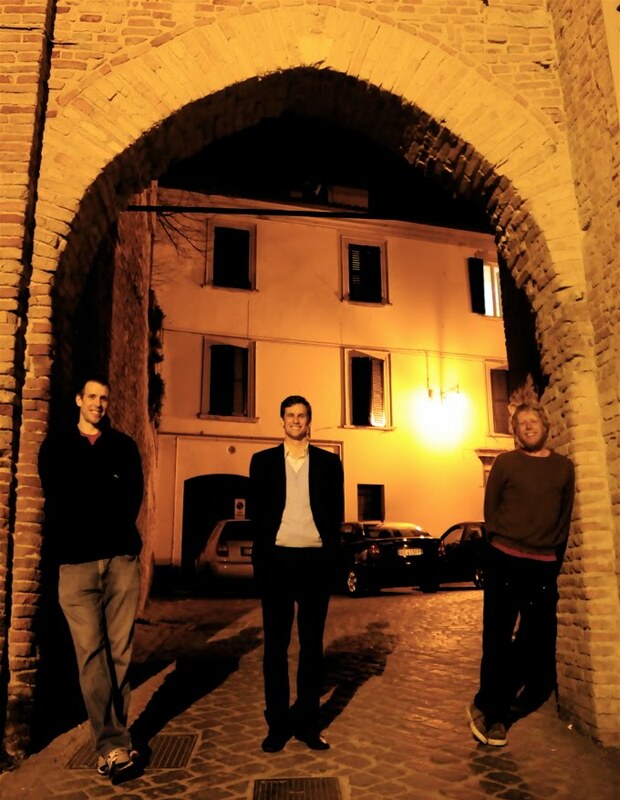 My last full day in Italy ended with a late night dinner in Jesi with Ali and Mason. It's not every day that the Rocca brothers find themselves in one place without any other members of the always growing family. In fact, the current rate is about once every ten years. See ya in 2020.